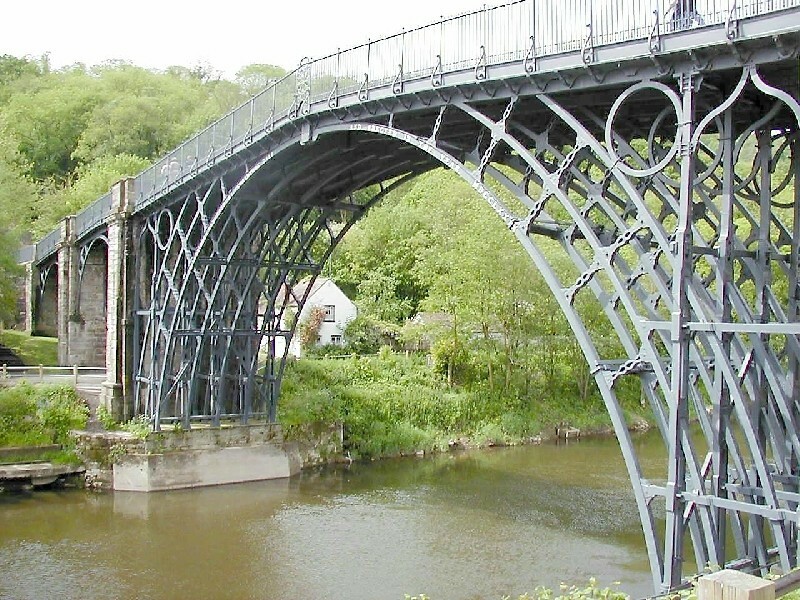 This arch bridge (30m long) was made at Coalbrookdale (1779), for supplying the ironwork for the Ironbridge over the River Severn in Shropshire. It was the first in the world to be made entirely of cast iron. The bridge's arch spans 100 feet and has five arch ribs, each cast in two halves. Today, the Iron Bridge is considered a British National Monument.